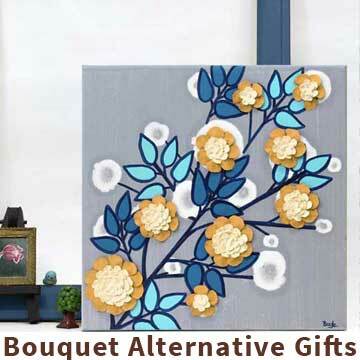 Shop Amborela’s Mother’s Day sale for flower bouquet alternative gifts. 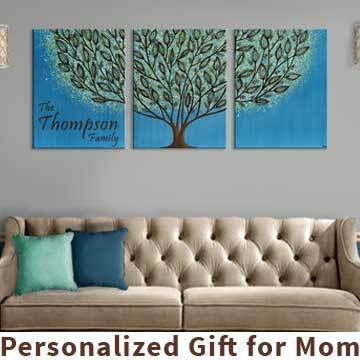 Each flower painting at Amborela is an heirloom quality, keepsake gift your mom will cherish for many Mother’s Days to come. 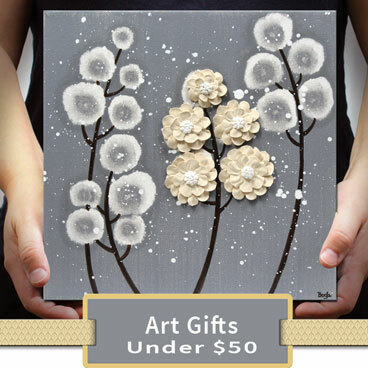 Amborela has select flower paintings on sale now through Mother’s Day. 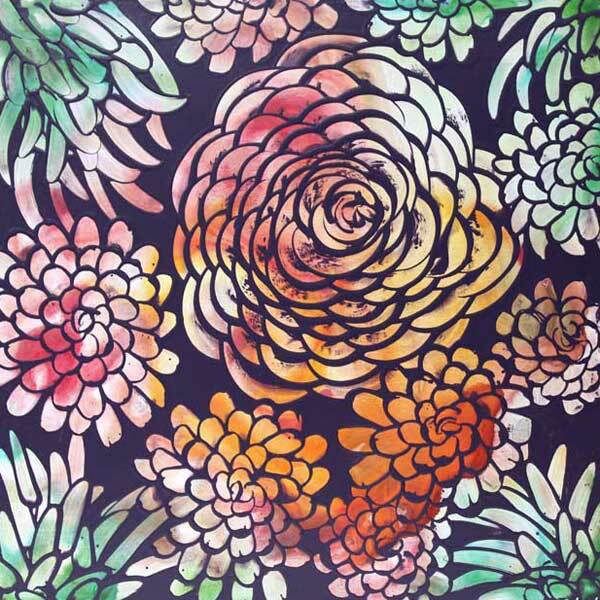 See the new dahlia designs by Amborela for 2019! The maximalism style features vibrant blends of India ink hues, expressive textures, metallics and high-gloss, and repetition. Take a closer look at all the “to the max” details. 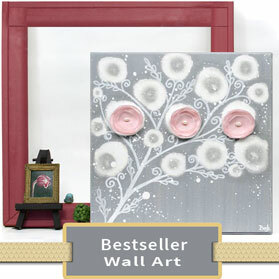 Shop for original art on canvas, decor fabrics and papers at Amborela to match your nursery or home decor project. Each Amborela painting is an original, signed artwork on stretched canvas for sale by artist, Bethany Ogle. 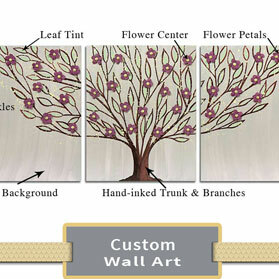 Take a closer look at the hand-sculpted 3 dimensional flowers on the popular flower and tree wall art. 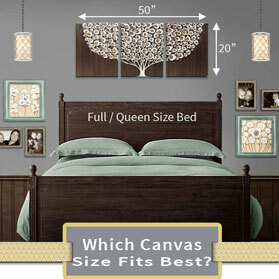 Choose a canvas size or a 3 piece triptych to fit your space. Amborela surface patterns are great for upholstery projects, wallpaper, bunting, and more decor projects. Coordinate your nursery fabric, wallpaper, and wall art with Amborela’s new lilac and gray nursery collection. 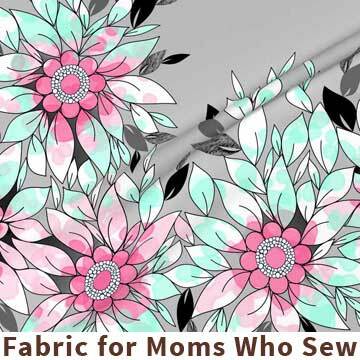 Start your easy to sew baby quilt, choose your wallpaper, and find matching showstopper nursery art today!